I never considered myself much of an athlete while I was growing up, but it was always an aspiration I hoped to achieve someday. I'd look around at the athletes at my school and those on television--they all seemed to be so lean, so fast, and so coordinated! When I compared myself to their athletic prowess, I found myself wanting on so many levels. I wasn't tall enough for basketball, fast enough for track, or agile enough for soccer. My apparent failures in PE were enough to close me off from even trying to practice and improve any of these skills. I had consigned myself to the fact that I would never be athletic. Then, fate intervened. My roommate-turned-best friend at my Air Force tech school just happened to be a person trainer and fitness junkie. She took me under her wing and helped me plan out workouts to improve my score on the military fitness tests. But more than that, she taught me that real women move. As I exercised regularly with her, I found that workouts didn't just have to be sprinting and push ups and situps. The most effective workouts were the ones where I enjoyed the activity. I tried cycling, swimming, rock climbing, rowing, paddle boarding, kayaking, skiing, dance, plyometrics, weight lifting, running, yoga...you name it and I probably tried it. Before long, I started looking forward to being active...then I started loving it. Now the kid who avoided the track like the plague and always wore jeans to PE became the woman who can't go a day without running and has a closet full of technical apparel to include super cute skirts! I became the athlete I always wanted to be. And why? Because I learned that real women move. So what exactly does REAL women move mean to me? It means that all women--no matter age, shape, fitness level, etc--can be active! It means finding those active activities we love to do, and doing them! It means being a role model and an inspiration to others, to help them find their own fit passion. This Skirt Sports message has such power for all women! 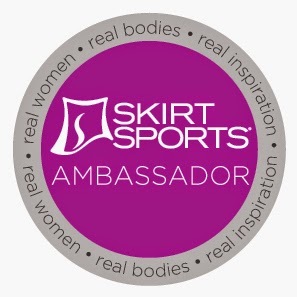 Just like it says in the Skirt Sports Ambassador logo: Real Women, Real Bodies, Real Inspiration. That is what REAL women move means to me. 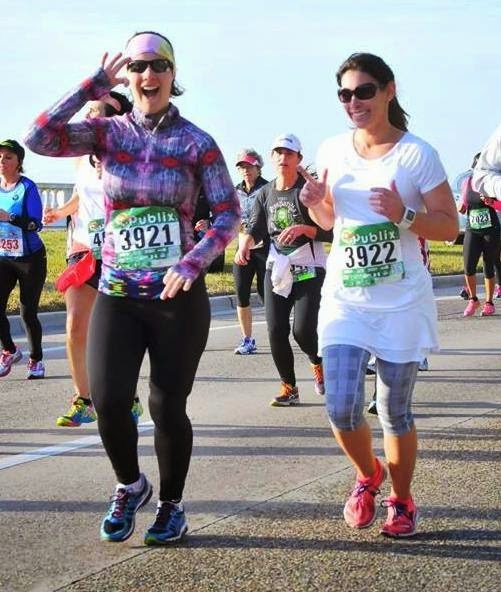 My best friend Jenna and myself running the Gasparilla 15K, proving that #REALwomenmove. I'll never forget what my best friend taught me, for she changed my life for the better. 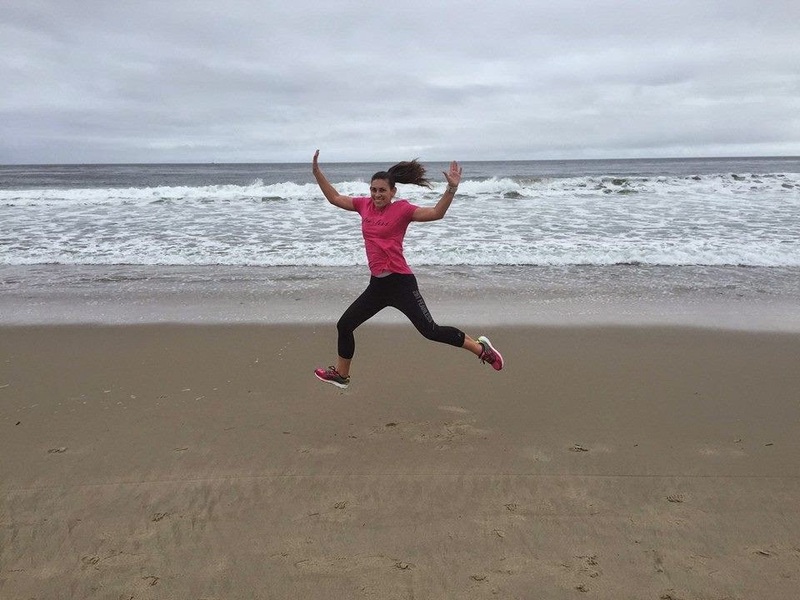 Running and fitness has become a core part of my life and happiness. As a Skirt Sports Ambassador Captain, I hope I can pay it forward and share the REAL women move message with all of you, and with those women who also want to find their inner athlete. I've been using the hashtag ‪#‎REALwomenmove‬ for a couple weeks now, and it means more than just a fun label. Skirt Sports is on a mission to empower unmotivated or intimidated women and young girls. Let's show them what it looks like to make health and fitness a priority, despite the daily obstacles that are thrown into their path. Post your active pics and videos using the hashtag #REALwomenmove. For every 5000 hashtags, Skirt Sports will donate a Get Started Scholarship to a woman who best exemplifies the REAL women traits and/or is actively trying to break through her own barriers in running and fitness. For more information on #REALwomenmove, check out this link. You can nominate a friend, or share your own story to apply for this scholarship. I'll be running the Skirt Sports 13er in June, and I'd love for you to join me! Run or walk the 5K or Half Marathon either in Colorado at the race course, or in your own town virtually. Registration comes with a super cute skirt and gift card so you can build your own race day outfit. Seriously, run with me in Colorado by registering here, or virtually by registering here, and you will be a perfect example of how REAL women move. Show the world that REALwomenmove, and run the 13er with me! 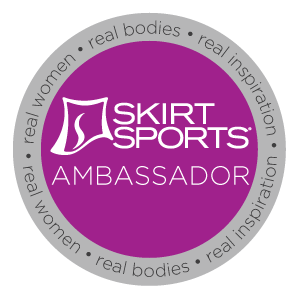 Check out my Ambassador page here, and meet the other Skirt Sports Ambassadors and learn how these REAL women move here! What does #REALwomenmove mean to you? I’d love to hear your story! ahhh what a great story! i feel like the fitness bug hits us like the plague if we let it :) I'm so glad your friend spread the disease to you! I've always been very active, but it wasn't as rewarding as finding ways to remain active as an adult. It's much harder, but also more satisfying. Keep moving! Exactly, it's so much easier to be active as a kid. I try and find new and different active activities to keep me interested. My next challenge will be to learn tennis.